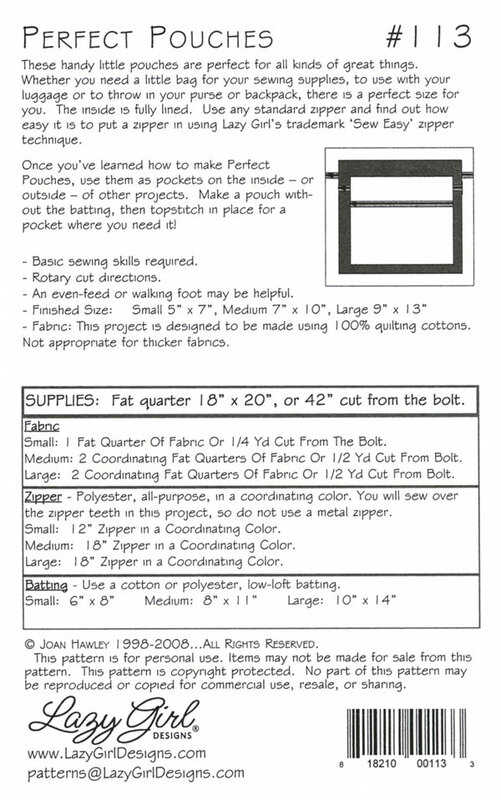 Perfect Pouches sewing pattern from Lazy Girl designs. 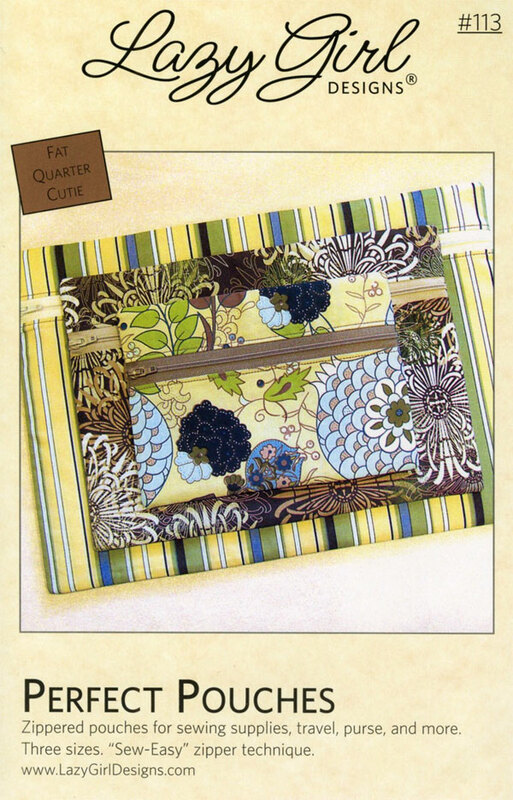 ALL things become new again...especially sew for this timeless pouch sewing pattern in 3 sizes (small, medium and large) by Joan Hawley of Lazy Girl Designs. These handy little pouches are perfect for all kinds of great things. Whether you need a little bag for your sewing supplies, to use with your luggage or to throw in your purse or backpack OR to send your kiddos back to school in style, there is a perfect size for you. The inside is lined. Use any standard zipper and find out how easy it is to put a zipper in using Lazy Girl’s trademark ‘Sew Easy’ zipper installation technique. This pieced pattern is also a ‘Fat Quarter Cutie’, which means these pouches can be made from fat quarter cuts of fabric. I love to make zippered pouches and this is a keep close at hand to make more. Really like the different sizes.